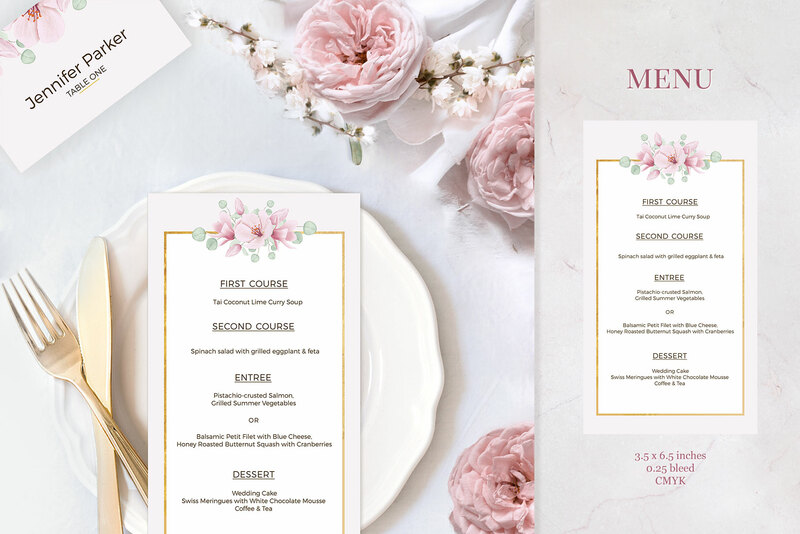 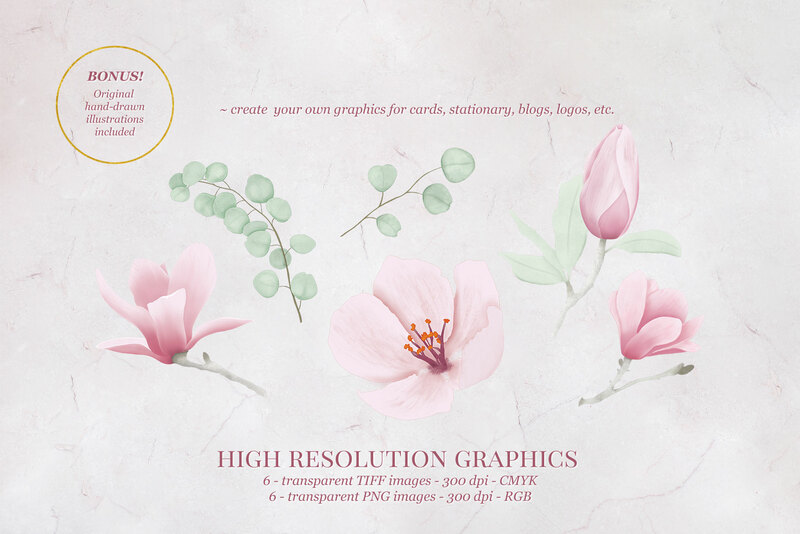 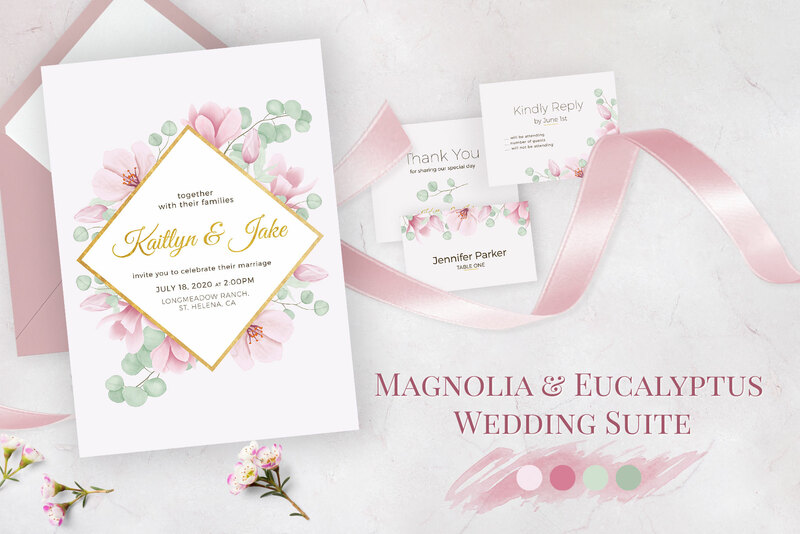 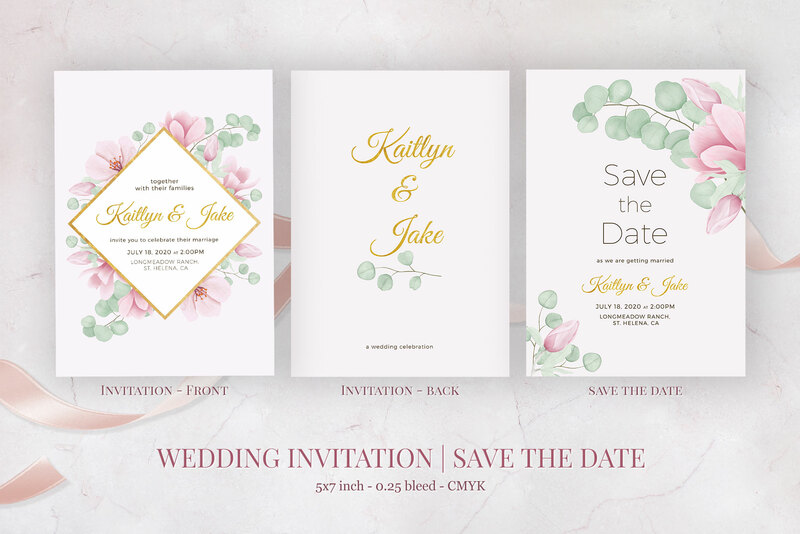 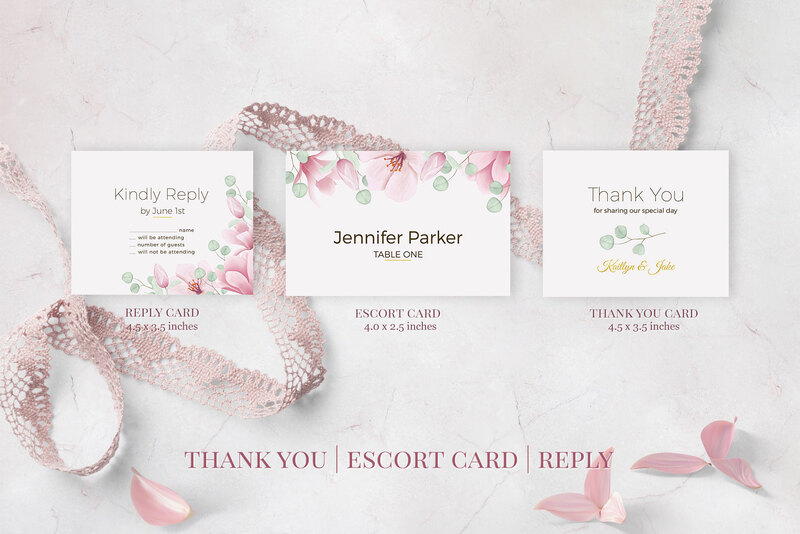 This coordinating set of print-ready wedding templates makes it easy to design your own wedding stationery. 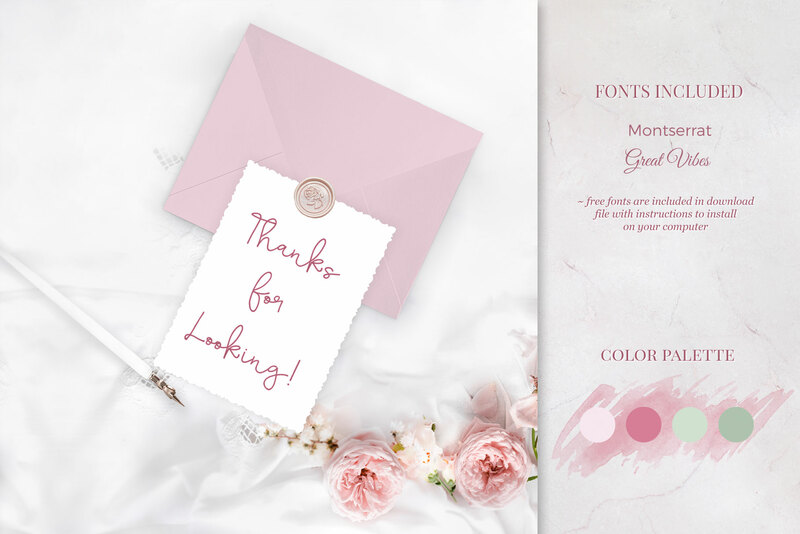 Simply replace the existing text with your own. 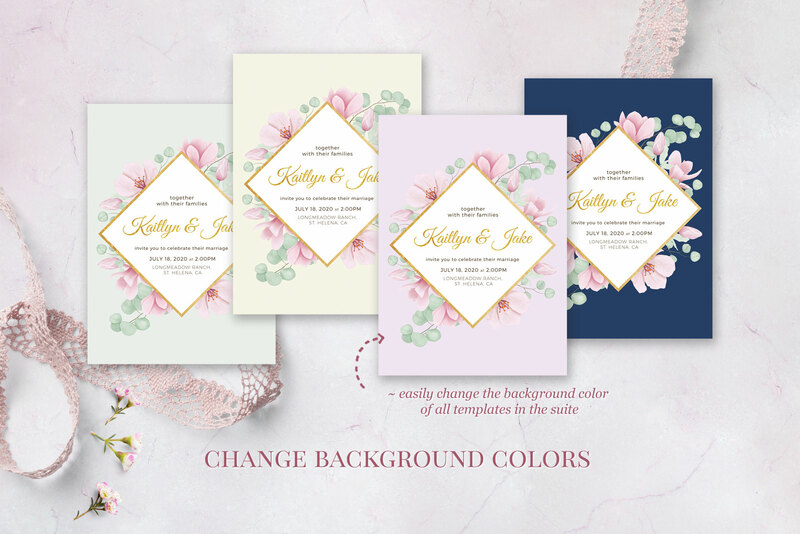 The background color can be changed on all of the templates.